We live in an era of fan fiction, when it's all too common for people to imagine and describe how their favorite characters could have ended up—and that impulse stretches to art. 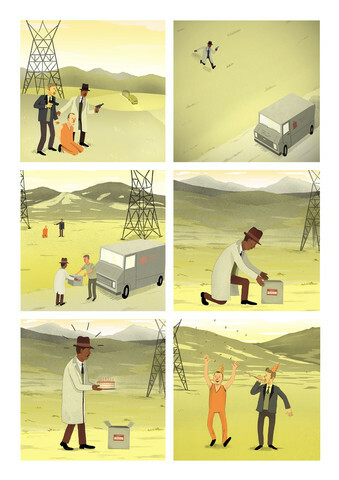 Here are a few of our favorite alternate endings to great pop culture tales as imagined by artists, many of which were part of the Bottleneck Gallery’s “Alternate Ending” art show. So without further ado, I ask you to explore “What if." Justin Turrentine has created a number of artworks based on some of the most classic Disney films, but perhaps his most thought-provoking works are those that ask, “what if the bad guys won?” In the series, you see Gaston posed with Beast’s head on a wall and a portrait of him and Belle together; Ursula sitting down for a feast of Flounder, Sebastian, and Scuttle; Cinderella’s sisters sporting glass slippers; and more. No, Daniel Irizarri doesn’t explore what would happen if Bruce Wayne’s parents survived, because then Batman just wouldn’t exist. Instead, he explores what if Batman’s parents died in different ways, causing him to take vengeance on something other than criminals. He questions if he might become a vigilante designated driver if they were struck by a drunk driver; if he might instead be Captain Planet if they were killed by pollution; if he would attack fast food if they died from high cholesterol; and, of course, what might happen if they were plagued by colon cancer. To be fair, if Darth Vader never “killed” Anakin, then the best Star Wars movies never would have happened and no one would even care about the series. 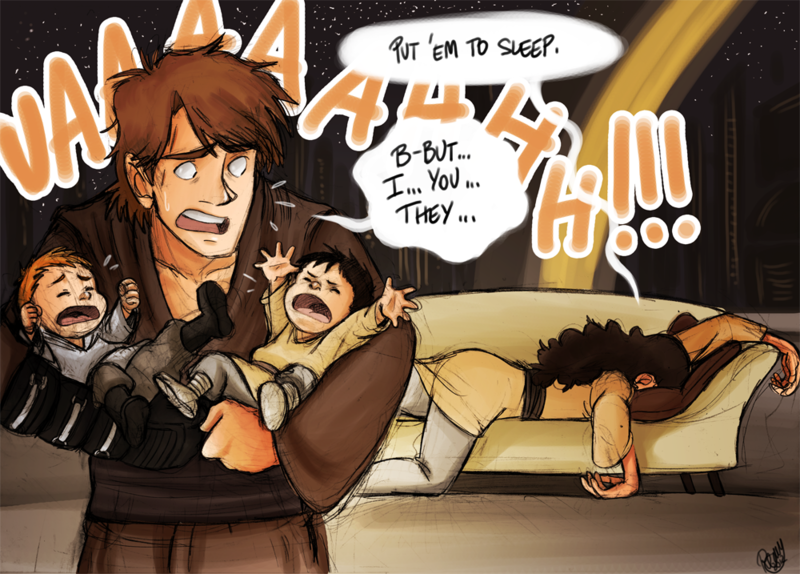 But, if DeviantArt user Castellani’s version of the story happened and Anakin never turned evil, one family in the galaxy would be drastically happier. Serial killer John Doe still might not have the happy ending Andres Lozano Martin shows after Doe already killed five people, but without playing the role of “Envy” and pushing Detective David Mills into killing him, and thus taking on the sin of “Wrath,” Se7en certainly wouldn’t have had such a dark ending—and Mills would sure be a lot better off. As someone who always hated that Pretty in Pink ended with Andie choosing the rich guy over sweet-hearted Duckie, I love Darshana Pathak’s embroidery showing what Andie should have done. 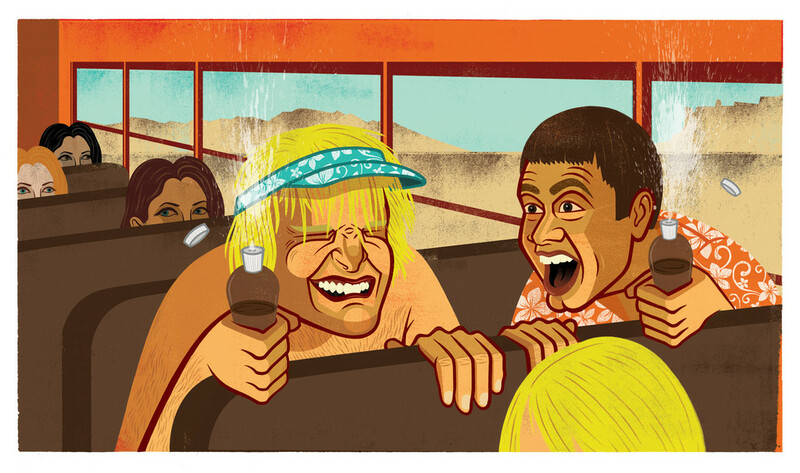 If they were just slightly less dumb, or if the bikini team specifically asked Lloyd and Harry to be their oil boys rather than hinting that's what they wanted, then this could have been the real ending, not just a great image by Greg Puglese. 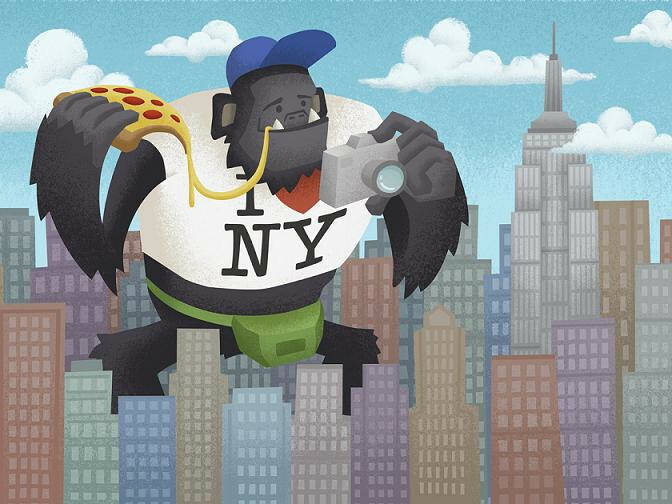 Of course an angry wild ape would go wild and cause mayhem and destruction if he was forcefully captured and transported to New York, but what if he was treated more cordially and the journey was more of a vacation? 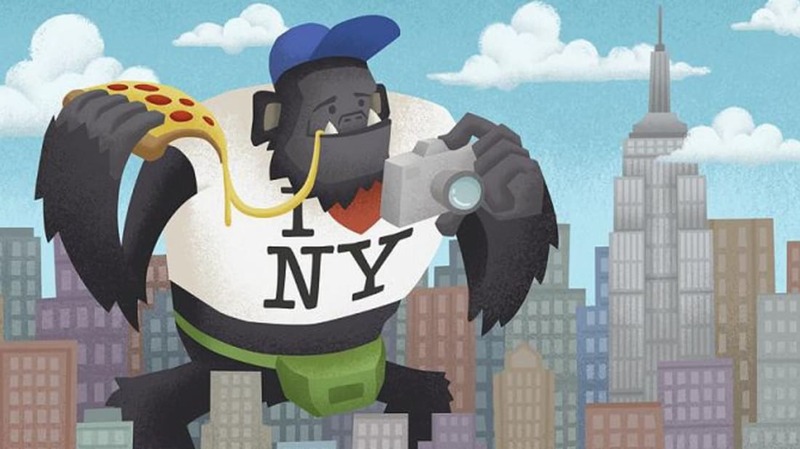 Mike Williams imagines what would happen if Kong got to enjoy New York like any other tourist. 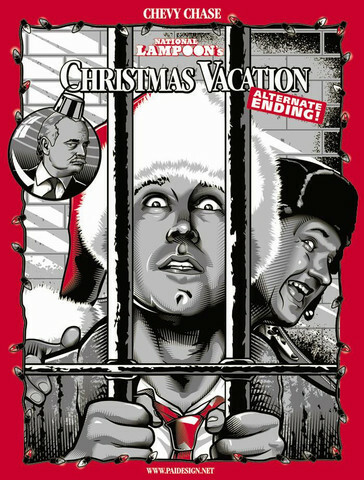 Sure, Frank Shirley should have warned his employees not to expect a Christmas bonus, but that still doesn’t excuse kidnapping, and Paul Ainsworth shows how Clark and Eddie’s holiday would have ended if they pulled this stunt in the real world. My question is, if Rob Loukotka’s ending really happened and Batman finally had Bane’s permission to die, would he do so right away? And if so, would it be through suicide, murder, or just because the hero finally gave up the will to live? Roberto Vergati Santos’ “what if” might not be an alternate ending like many of the other artworks on this list, but it seems the most realistic if any of these tales actually took place in our world. 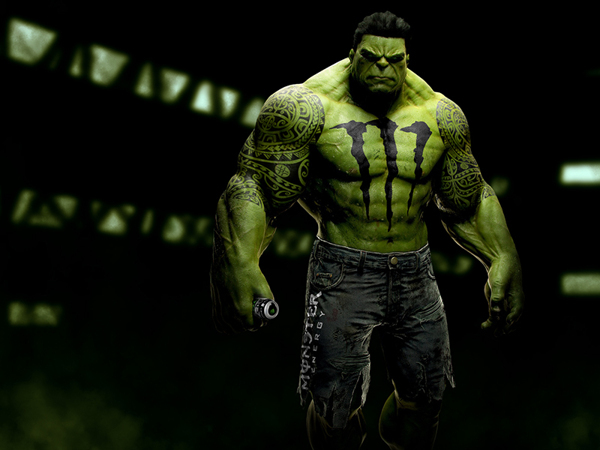 After all, while Iron Man and Batman might have the funds to support their own labs and keep improving their equipment, Hawk Eye, Bruce Banner, the X-Men, and many more could certainly benefit from the increased funds corporate sponsorship could bring them—and you know Coca Cola, Monster, Microsoft and other major companies would jump at the chance to put their brand names all over superhero uniforms. Personally, I’d like to know what would happen if one of the boys in Weird Science stayed with Lisa, but I guess they tried to answer that one in the terrible TV show based on the movie. What about you guys, are there any stories you’d like to see end in a different manner?